South Korea’s financial watchdog said Wednesday it will inspect three banks alleged to have overcharged borrowers for more loans by incorrectly calculating the interest. 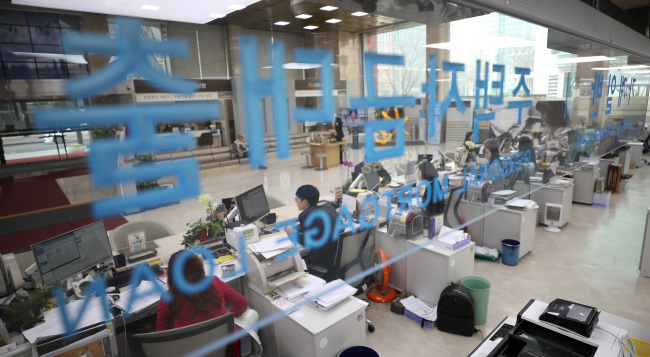 On Tuesday, KEB Hana Bank, Citibank Korea and Kyongnam Bank were revealed to have taken a combined 2.7 billion won ($2.4 million) in revenue from information input errors such as omitting the borrowers’ income or collateral in lending rate calculations. The Financial Supervisory Service said they will be first looking into the exact cause of interest miscalculation, deeming that the error stems from systematic fallout that had been continuing over a long period of time. The FSS said it was less likely for the incidents to have been intentional and rather a lack of internal control. A FSS official said that each bank is responsible of operating and calculating the interest rates for loans and that the watchdog does not have the discretion to penalize the banks for violating such internal regulations. The FSS has also embarked on inspecting loans by all commercial and provincial banks in the past five years to find any similar cases. It was earlier revealed that Kyongnam Bank, a provincial bank in South Gyeongsang Province, had collected some 2.5 billion won from 12,000 cases of miscalculated loan rates. The error was made at over 100 branches. The bank soon released plans to compensate the customers. The cases include omission of manually putting in borrowers‘ income in calculating a mortgage interest rate. Similar errors in the manual process to set interest for loans were also found to have occurred in KEB Hana Bank and Citibank Korea, although at a less scope. Some tellers or officials of KEB Hana Bank were found to have imposed maximum interest rates on loans instead of proper rates automatically generated by the internal computer system. As for Citibank Korea, branch employees are alleged to have omitted input of collaterals in calculating loan rates, turning the rates higher. Both KEB Hana Bank and Citibank Korea said it plans to compensate for borrowers‘ losses. The FSS’ scrutiny includes reviewing whether the compensation process by three banks are appropriate.